The jobs below represent the vocations with the biggest income gains for the latest reporting year. The jobs were first sorted for occupations with at least a 10% job growth from the previous calendar year to help minimize income gains for statistical anomalies for U.S. jobs during that time. We found the large majority of the jobs on the list with the biggest income gains a bit of a surprise with computer programmers and information technology degrees leading the way as the highest paying jobs in the United States. However, the data culled from the BLS and U.S. Department of Labor show a decidedly different story for income gains. Below you will find a list of the top 10 careers with the largest income growth by percentage from the previous reporting period. Careers are listed in descending order with the largest wage growth category listed first to illustrate the changes from the previous calendar year. Leading the way in largest income gain for 2017 is a personal chef. 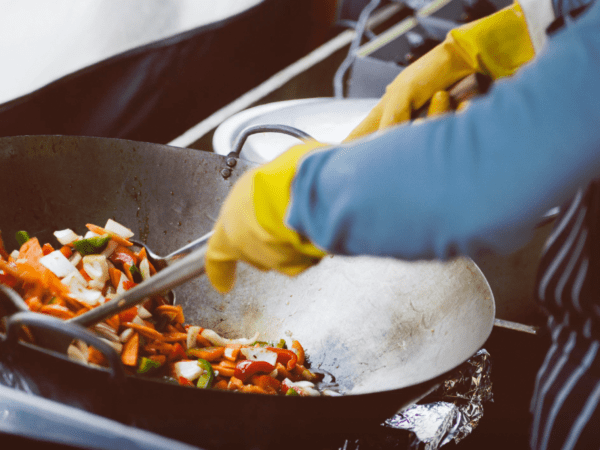 Personal chefs are trained professionals hired by public and private institutions to prepare meals in a home kitchen based on a client’s dietary needs and preferences. The wage gain for a personal chef grew an astounding 40.11% percent year over year with a current national median wage at $41,470. You can learn more about degree programs for a personal chef by visiting our resource page for culinary arts. The occupation with the next fastest income growth in our study was a flight attendant. Across the industry, flight attendants saw a 14% lift in wages compared to the 2016 OES survey. With an industry containing approximately 100,000 professionals, the median annual income of $51,729 is a substantive change for the flight attendant profession. Upon further research, we found the largest airline carriers were not the best paying in the business. The largest airline carriers in the United States are United Airlines, US Airways, Southwest Airlines, American Airlines and Delta Airlines. The top paying airlines we found were United Airlines with an median annual salary for flight attendants of $60,000 with Southwest Airlines and American Airlines second and third with median annual salaries at $53,000 and $52,000, respectively. On the other side of the ledger, the lowest paid flight attendants were US Airways at $31,000 and Delta Airlines at $37,000 annually according to data culled by Payscale. We also found that experience is a large driver of pay for flight attendants with the more tenure leading to substantive pay bumps. 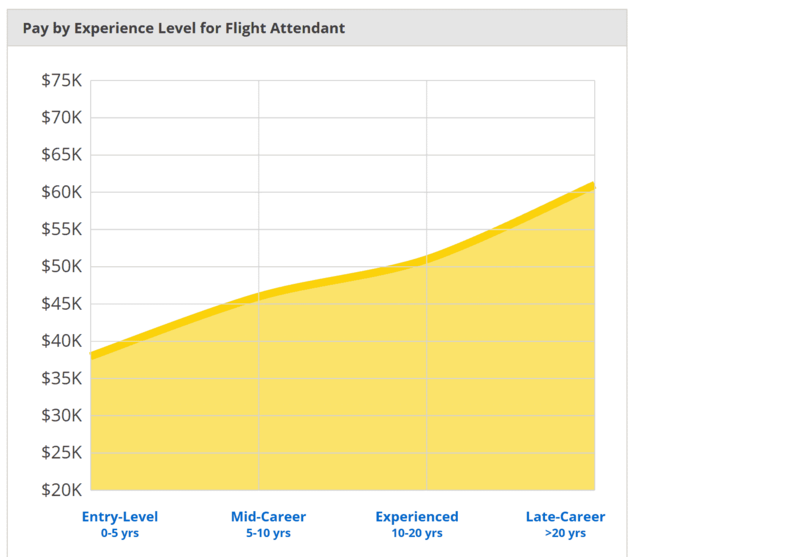 Flight attendants income based on work experience over time. Date courtesy of Payscale. The next two occupations are locomotive firers and transit & railroad police with over a 9% income growth year over year. A locomotive firer is also known as an assistant engineer trained to assist engineers operate a freight train or passenger train. Locomotive firer’s saw a wage growth of 9.5% now in excess of $60,000 annually. Political scientists rounded out the top 5 positions with an increase in wages of 7.38% and a median income of nearly $100,000. Careers in political science can be both gratifying and stressful which underlies the average income statistics. To learn more about careers in political science, visit the MatchCollege resource page today and find the perfect school match for you. Rounding out the rest of the top ten jobs with the fastest growing income year over year are: segmental pavers, mining machinists, make up artists, solar photovoltaic installers, and dressmakers. Each unique in their own way offering a variety of benefits in these diverse occupations. To learn more about any of the above careers, simply visit the degree page associated with each with MatchCollege today.